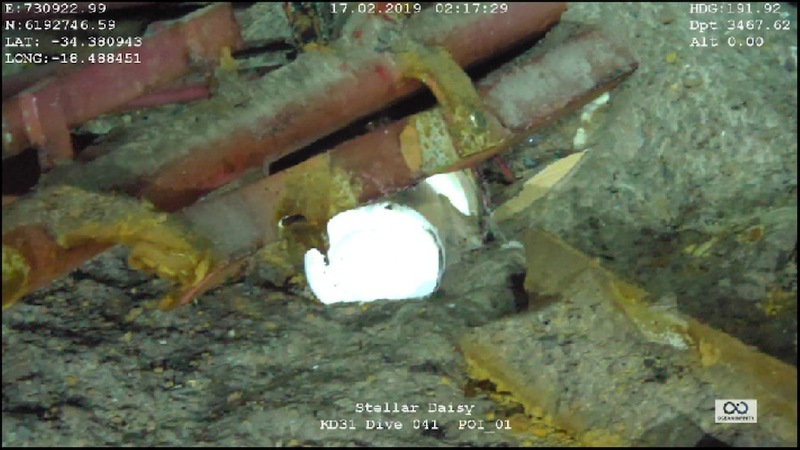 The voyage data recorder (VDR) of the sunken Stellar Daisy very large ore carrier has been located and recovered from deep down on the ocean floor of the south Atlantic. Relieved family members of the bereaved in both South Korea and the Philippines have reacted to the news released today by Korea’s Ministry of Maritime Affairs and Fisheries, expressing hope that the successful operation will now ensure justice is served in what has become of the most high profile and deadly bulker accidents seen this century. Twenty-two of the 24 crew onboard the 1993-built converted ore carrier perished on March 31, 2017 when the Polaris Shipping ship sank while on contract to Brazilian miner Vale. 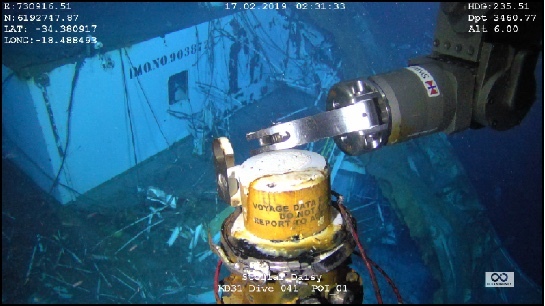 Ocean Infinity, a US-based seabed survey company, located the wreck of the lost South Korean bulker, Stellar Daisy, at a depth of 3,461 m in the South Atlantic, approximately 1,800 nautical miles due west of Cape Town. The American company had deployed the subsea construction vessel Seabed Constructor over the past week to find the vessel. Four autonomous underwater vehicles (AUVs) were deployed, which, over 72 search hours, explored approximately 1,300 sq m of seabed. Twenty-three months after the ship sank, the flag of the Stellar Daisy, the Marshall Islands, has yet to publish its findings into the disaster. A court in South Korea has said it will review the case once the data from VDR has been retrieved. 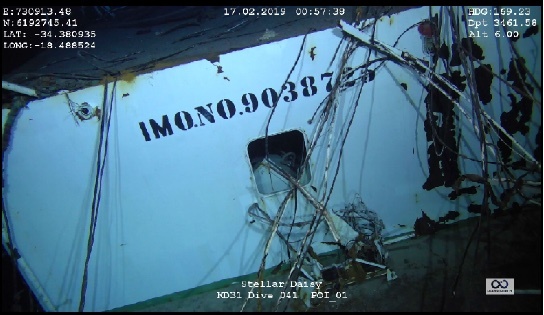 The bid to find the Stellar Daisy came after huge pressure on the Korean government to mount the search operation, despite reluctance from the ship’s owner, Polaris. One ex-Polaris employee has been arrested so far in connection to the sinking. I am with you Sam. Reports are long overdue and maybe now the facts will come out. The families need to know the truth.